After WW2 Rod's family migrated from England to Western Australia, where he grew up on a dairy farm. Both parents were fond of music, his father classical and jazz, and his mother shows and pop. Rod liked it all, and pestered for a guitar. After high school he studied geology, did an obligatory stint in the Australian Army, worked around Australia in mining for a while, then went overseas. On return he fulfilled a lifelong ambition to go on the road with a rock band. Recovering from that he returned to WA and now plays bass in jazz and concert bands. 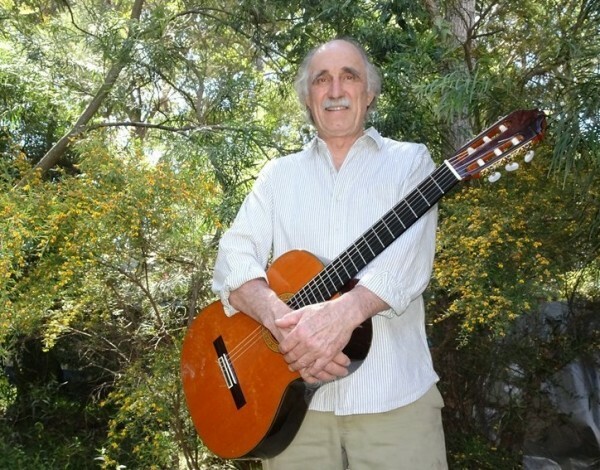 The classical guitar transcriptions began by accident when solo guitar arrangements of favorite pieces couldn't be procured – there was no internet then. He found the exercise so enjoyable he kept doing it, and eventually set up a website to sell them and his guitar compositions.